Welcome to Steps-To-Living, a Jewish world-wide fellowship for realizing happiness and freedom. Hundreds of thousands of people have found a new joy in life and experienced the onset of inner peace and serenity through the world renowned 12-Step program. True happiness is within reach for you too! Rabbi Dr. Twerski Explains "Spiritual Awakening"
"Do you know how a volcano is formed? Deep down at the core of the earth, there is melted rock that is under extreme pressure. Over many centuries, this lava slowly makes its way through fissures in the earth’s crust to the surface. Once it breaks through the surface, the lava erupts. I believe that at the core of every human being there is a nucleus of self-respect and dignity. For a variety of reasons, this nucleus may be concealed and suppressed. Like the lava, it seeks to break through the surface and be recognized. Once it breaks through into a person’s awareness, one may feel, “I am too good to be acting this way. This behavior is beneath my dignity.” I think this is the “spiritual awakening” to which the twelfth step refers." The 12-Step Program, originally developed by alcoholics in the 1930’s (based on religious principles garnered originally from the Torah), has helped millions of people break free from many kinds of addictions. Amazingly though, this program doesn't focus on the problem/addiction itself, but rather on achieving and maintaining a healthy spiritual state/condition. For this reason, not only addicts can enjoy the transformational benefits of this program. With Steps-To-Living, the revolutionary 12 Step program is now available to the general public for the first time. 1) Anyone currently working the 12-Steps. Those who are already working the 12-Step program for any addiction can now be part of a worldwide Jewish community of people who are learning and sharing the wisdom of the 12-Steps with each other and growing every day. 2) Anyone who suspects that they may need the 12-Steps. S2L can help those who suspect that they may be suffering from an addiction but who are still wary of joining a 12-Step group. For such people, S2L can serve as a bridge by enabling connection with others in similar situations, thereby affording an opportunity to learn more about the program and how it can help. Do you suffer from any of these unwanted behaviors? This simple program has helped millions of addicts - surely it can help you! If you feel OUT OF CONTROL. If you set BOUNDARIES that you cross. If you say YES when you want to say NO. If you act in a way that goes against your principles. Then you may be dealing with an addiction. Lots of people “use”, (weed, alcohol, Facebook, food, Internet, etc.). What's the difference between using and abusing? If you continue to act despite negative consequences and/or promises made to self or others to stop using. If you lie about, keep secrets about and cover up the nature and extent of use. If you are experiencing intense feelings of depression, shame and isolation. If you notice breakdown of relationships with family, friends and romantic partners. If you're preoccupied for hours, sometimes entire days, with the addiction. If you have lost interest in work, school, socializing, family and exercise. If any of these apply to you, you may have an addiction. Young and old, rich and poor. ADDICTION does not discriminate. It can affect anyone, at any time. Addiction feels like a dark, bottomless pit that no one else could possibly understand. You're beyond help. Sometimes, you're not even sure you want to get out, you've been this way for so long, you've given up hope that things can ever be different. S2L is for any addict, anyone who wants to be free of a destructive habit in their lives no matter what it is. Ask yourself this; have you ever tried stopping only to find that you can't? Are your unwanted behaviors getting progressively worse? Are the 12 Steps for addicts only? Addicts have the most success with the program because they have come to realize that they are on a collision course with "rock bottom", spurring them to work the program with great desperation. Often an addict will look back and realize that his addiction was really a blessing in disguise, because it forced them to work this life-changing program and gave them back their spirituality and a much more REAL connection with Hashem. Why all this insistence that every A.A. must hit bottom first? The answer is that few people will sincerely try to practice the A.A. program unless they have hit bottom. For practicing A.A.'s remaining eleven Steps means the adoption of attitudes and actions that almost no alcoholic who is still drinking can dream of taking. Who wishes to be rigorously honest and tolerant? Who wants to confess his faults to another and make restitution for harm done? Who cares anything about a Higher Power, let alone meditation and prayer? Who wants to sacrifice time and energy in trying to carry A.A.'s message to the next sufferer? No, the average alcoholic, self-centered in the extreme, doesn't care for this prospect- unless he has to do these things in order to stay alive himself. 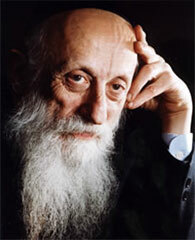 Rabbi Twerski says that he attended many mussar shiurim [religious ethical behaviour lectures]. Everybody understands the importance of mussar, but 'I doubt if many people walk away with the feeling, "If I deviate from this, I'm dead!"'. Similarly nobody has said, "I tried to do things my way, and I fell right back into my old ways." A person sincere in recovery realizes that his very life depends on following the program, not theoretically, but very practically. If people would accept mussar that way, it would work. In reality, the twelve step program is a formula for mature, responsible living. There is nothing unique about addicts that make the twelve steps specifically for them. Virtually every character defect that can be found in addicts can also be found in non-addicts, albeit they may be less pronounced. The twelve steps are a way for proper living, and anyone who is ready to apply them to themselves will be able to find relief from many unwanted behaviors or emotional difficulties. How does the 12 Step Program work? All addictions share similar roots. We try to fill a void by controling how we feel when we don't like how life makes us feel. The painful truth is that addicts are not looking to feel good, they want to feel less, or at least to control what they're feeling. Addictions are cunning, baffeling and extremely powerful. We are confused people with a complex disease. But the beauty of the 12-Step program is that it is so simple! All that is required of us is a desire to stop using the drug-of-our choice. It's not about intelectually understanding our addiction- all the thinking in the world have gotten us nowhere. This is a program of action, and when the steps are worked with dilligence and faith, even a simple minded drunk can achieve the miracle of sobriety. The 12-Step Program, originally developed by alcoholics in the 1930's (involving religious principles garnered originally from the Torah), has helped millions of people break free from many addictions. It is a spiritual, not religious program, practiced by millions of people around the world irrespective of their religion. The underlying secret to the 12-Step program's success is that we realize that we can't break free on our own, but we come to believe that G-d has the power. 'Without G-d, I can't. Without me, G-d wont'. G-d obviously wants to help us but our character defects have blocked us from connecting to Him and His Power to help. The program doesn't focus on the problem itself, but rather on achieving and maintaining a healthy spiritual state. This allows G-d to enter our lives and in turn, He then gives us the gift of sobriety. As the program is often summed up: “I can't, He can, so let Him”. The principles of the 12 steps are the principles of life. If you work at the 12 steps, they will help you identify the traits that are ruining your life, let go of those traits, and learn something better in their place. The 12 steps are a model for self-change.l”. The twelve step program is a formula for mature, responsible living. There is nothing unique about addicts that make the twelve steps specifically for them, besides for the fact that addicts often hit rock bottom which spurs them to work the program with greater desperation. Virtually every character defect that can be found in addicts can also be found in non-addicts, albeit they may be less pronounced. The twelve steps are a way for proper living, and anyone who is ready to apply them to themselves will be able to find relief from many unwanted behaviors or emotional difficulties.